Back from the tuscon comic con and still sick as a dog… we’ll talk later. Hey just caught up the last several pages after a reading hiatus–nice that it happened that i got to read most of that backstory in a sitting. I think because of that I'm uniquely qualified (unlike these other lame page-at-a-timers) to say it was everything a reader wants in a backstory. 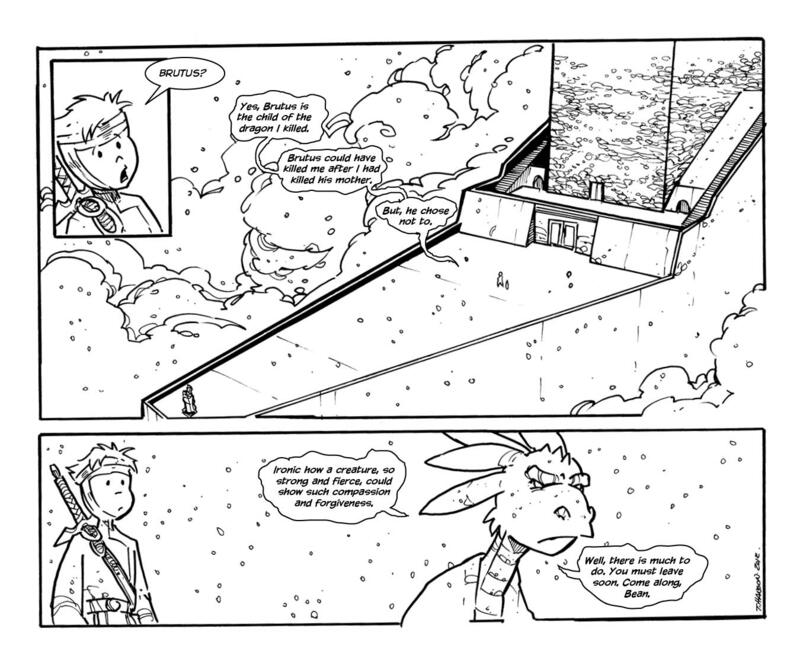 Oh man I absolutely LOVE the architecture in this webcomic! I think we have a training theme or a quote that will help Bean make a good decision in the future. That sword will make Bean "a creature, so strong and fierce…"